Glowing candles, tinsel, shimmering lights â€“ the holiday season is full of things that sparkle, and Industry leader, ALTR Created Diamonds believes that your gifts should be no exception. Today the company best known for their brilliant Type IIA created diamonds releases their signature holiday collection, providing consumers with high quality, authentic created diamond jewelry to celebrate this festive season. To view the ALTR Created Diamond Growing video, visit https://www.altr.nyc/created-diamonds/. The ALTR holiday collection drew inspiration from retro glamour infusing it with a modernity embodied by the elegant fashion icons of our time. Those looking for a timeless gift will find tennis bracelets and halo-encased solitaire earrings. Elegant drop earrings and diamond pendants framed in a decorative knot design are given a contemporary spin through the use of rose gold. If she wants to make a statement, show stopping cocktail rings of up to 2 carats of round diamonds are sure to wow. And for those looking to give the gift of commitment, a variety of bespoke engagement rings are available in platinum and gold settings guaranteed to make her say "yes!" 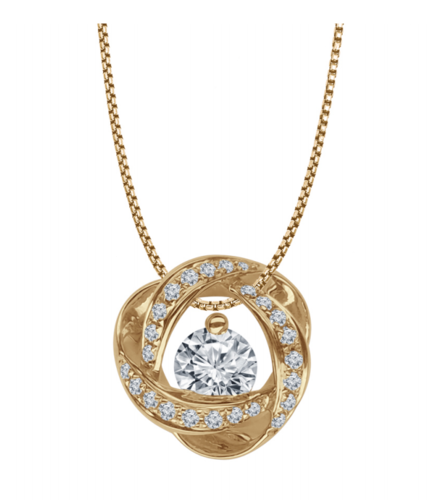 The collection will be available at select specialty jewelers nationwide with prices ranging from $154 for a set of drop earrings and $1926 and up for cocktail rings. "ALTR Created Diamonds are a perfect festive and romantic gift to celebrate the spirit of the holiday season," states Founder Amish Shah. "Providing consumers with the opportunity to give loved ones â€“ or themselves â€“ with a sparkling diamond this season is our number one goal. These pieces last a lifetime and allow In essence, the quality and clarity of ALTR diamonds is unparalleled â€“ a magical gift to celebrate the magic season. With an extensive design archive and more than 22 exclusive, patented diamond cuts, the ALTR Created Diamond holiday collection truly has something for everyone on your list this holiday season. ALTR Created Diamonds is now selling all over the world including in the United States, EU, China, Australia, India, Canada, Thailand, South Korea, Israel and South Africa, ALTR Created Diamonds is experiencing aggressive growth and international expansion. For more information on the ALTR Created Diamonds, please visit www.ALTR.NYC.